What are the do’s and don’ts when making referrals? In the first of a series of articles on the interface between HR and OH, Dr John Cooper advises on best practice. The main reason for referring an employee to occupational health is to help a manager resolve a situation where an employee’s health might be affecting their fitness to carry out their job, or their job may be adversely affecting their health in some way. And in doing this, a manager can seek advice from HR on policy, employment law and how to deal with employees who might have personal problems, as well as asking for help from OH on matters of health relating to an employee’s fitness for work. While medical details are private and confidential to every person and no manager has the right to know an employee’s medical details, doctors and nurses are bound by the principles of patient confidentiality. However, the employer does have a number of responsibilities relating to health for which they can ask specific questions of an OH service. In this scenario, the OH practitioner acts as a filter between the employee and their medical details and the employer and their specific questions. Employers are not responsible for all aspects of their employees’ state of health, but they are charged with a duty of care, ensuring the employee is medically fit for a certain job (for example, driving a bus), and that the work conditions do not cause adverse health effects on one of their workforce (such as an occupational illness). 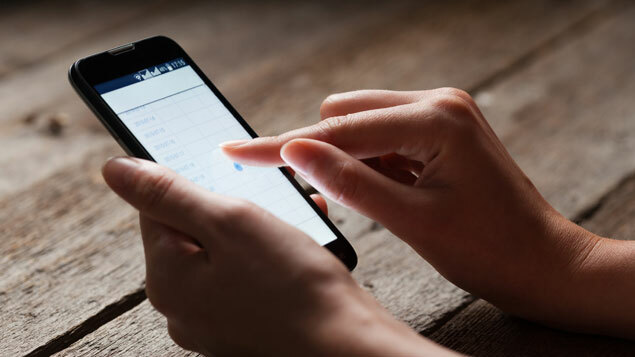 There are seven vital steps in this process, and the principles apply equally to telephone as much as to face-to-face consultations. Is this employee medically fit to work in this role? 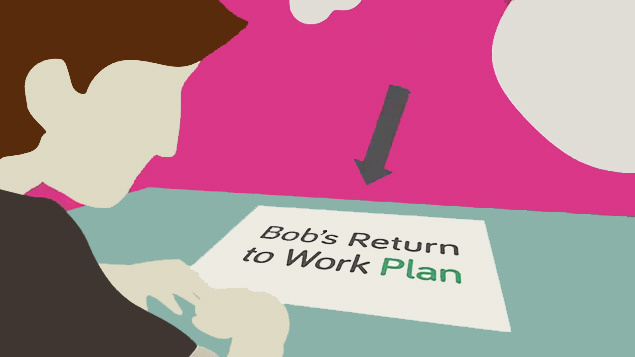 When, if absent, are they likely to be able to return to work? Is a phased return recommended? Is a review appointment recommended? Would the employee’s condition be covered by the disability provisions of the Equality Act (2010)? Are any adjustments needed to help the employee in their work? Are there any restrictions in what the employee can do in their role? Is the employee receiving the appropriate medical care and support? Should the employee be considered for ill-health retirement? 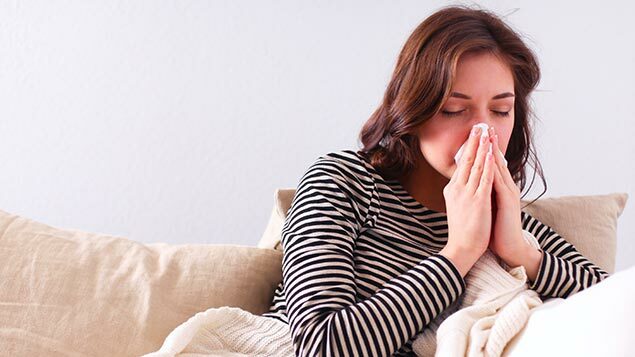 Is the employee’s illness caused or exacerbated by their work? If the employee is taking medication, is it likely to impair their ability to do their job safely and effectively? 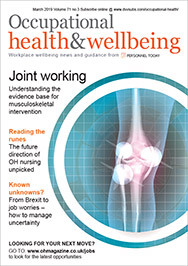 This series of articles aims to help build the best value from the working relationship between HR and occupational health. By gaining a better understanding of how the two professions operate, their needs, and what they both can or cannot do, OH and HR will be able to work together more collaboratively to the ultimate benefit of both employee and employer. The articles might help HR managers relatively new to working with occupational health, or working for SMEs with limited access to a contracted OH provider. The references to “manager” apply equally to both line and HR managers. The title OH practitioner refers to either a physician or a nurse/adviser. OH practitioners can use the articles to advise HR and line managers about the role of OH, what they can expect from an OH referral and legal compliance concerning consent and confidentiality of medical information. Please review – this is too vague. Review what: left ear? Right foot? Mental state? What are the details of this person’s illness? – this is confidential information. What medication is the employee taking? – this is confidential and irrelevant. Is the employee likely to be in regular attendance in the future? – this is impossible to predict as attendance depends on so many variable factors. And not as one referral simply stated: “Needs heart and lung transplant” – what is it exactly the manager wants from OH? Or: “What do you think is the diagnosis and prognosis?” in a complex case still undergoing investigations – no way of knowing until investigations are completed. Having made the referral, the second step is for the manager to explain to the employee the purpose and procedure for the referral and obtain their consent to be referred to occupational health. The third step is for the manager to write the referral itself, which is frequently done on a pro forma template. Details should be included about the employee’s job, their length of service, absence record (if appropriate), date of birth, and any conflicting interests at the workplace, such as grievances or complaints. The specific reason for the referral should then be clearly stated, along with the questions to be answered by the OH practitioner. Ideally, referrals should be limited to about four to six questions, as there is unlikely to be sufficient time for the OH practitioner to address more. The employee should be able to see a copy of the form, and ideally should also sign it, giving their consent, before it is sent to arrange the appointment. The fourth step is the consultation itself. The OH practitioner will need to take details of the employee’s medical history as well as their job and any potential hazards or stressors involved. A medical examination may be required, subject to the employee’s consent, for conditions such as back pain. Medical reports may need to be obtained from the employee’s doctor, once again only with consent, for more complex cases. It has to be remembered that employees are primarily the patients of their own GP, and OH practitioners must not stray into areas that are the GP’s responsibility. The OH practitioner is not usually able to carry out investigations, make referrals or treat employees, but some OH services do include extra resources such as counselling or physiotherapy for rapid assessment and treatment. Where there is doubt as to what OH might or might not be able to do medically, it is best to contact the employee’s own GP to talk through the scenario and agree who does what. The fifth step is the report prepared by the OH practitioner. Written and informed consent is needed from the employee for this report, and the General Medical Council guidance recommends that the employee has the right to see the report before it is sent to their manager. In such cases, the employee may ask for a fact to be corrected, which should be done. But if they disagree with an opinion in the report (perhaps, for example, in relation to when they could return to work) then the OH practitioner is not obliged to change the opinion. However, they may point out in the report that their opinion differs from that of the employee. Typically, an employee will be given one to three days in which to comment on the report before it is sent to their manager. The report itself should address the main reason for the referral as succinctly as possible and answer the specific questions, in order to help the situation in a way that will benefit both employee and manager. The sixth step is for the report to then be sent to the manager, with a copy to the employee and HR. Some OH services also copy this report to the employee’s GP. The seventh step is for the manager to review the situation in light of the written advice and any recommendations in the OH report. Ultimately, the best reports enable the manager to at least move the situation forward, and ideally to resolve it completely. Although it may seem simple on paper, there are some crucial points to be bear in mind in the process of referring an employee to the OH department. Doctors and nurses always have to work within their own set of medical ethics and guidelines. The most important of these is the preservation of patient confidentiality. The challenge then for an OH practitioner is to know how much medical information to put in the report. Essentially, it is more useful for the manager to know about the employee’s functional abilities – what they can or cannot do in their job – rather than any medical details per se. But sometimes it does help to report on some medical factors, such as an employee who is epileptic and may need first aid at times. This is always subject to the employee’s agreement for the information to be divulged. Another crucial factor to consider is whether or not the reason behind the referral is more for assessment or for support. Some managers just want their employee assessed for a specific purpose (are they fit to return to bus driving after their heart attack?). Others want to help and support an employee who is having a difficult time healthwise – for example, feeling stressed and struggling with their job. It is also critical to get the timing of the referral right. There is no point in referring someone to OH while they are still under investigation to establish a firm diagnosis or waiting for the result of a scan. Similarly, people who have undergone surgery need time to recover, and usually will see their surgeon for a post-operation review before being considered for a return-to-work referral. On the other hand, people experiencing stress-related issues or mental health problems often benefit from an early referral. If in doubt, therefore, the manager or HR should communicate with the OH service and discuss when would be the best time to make the referral. The OH practitioner will always try in the report to answer the referral questions as accurately and fully as possible, but it should be understood that medicine, as with quantum physics, deals with probabilities and not certainties. OH practitioners do not have a crystal ball, and trying to foretell the future needs to be done with care and honesty. Illnesses can affect different people in different ways, resulting in a wide variety of responses to a given diagnosis. It is often more important to know what sort of person has a disease than to know what sort of disease a person may have. It also has to be recognised that the OH practitioner is often seeing an employee who is extremely anxious about the referral, especially if they think their job is at stake. OH is not, as one employee once feared, “the military police of the organisation”. The OH practitioner needs to gain the trust of the employee in a very short space of time, otherwise the full details of the situation – medical and occupational – will not be apparent. At the same time, they must stay completely impartial and objective – not on either employer’s side or that of the employee. The OH practitioner should be a bridge between the two, able to provide advice and guidance on how best to address the given situation. The best OH practitioners have good knowledge of their workplaces – their hazards as much as their culture – and equally know their patients well and their state of health. They are then well placed to advise on the best solutions. The clearer and more relevant the reasons behind the referral, the better the value from the referral. The process needs to be done in a manner that meets medicine’s ethical guidelines. The more supportive the referral, the more likely a beneficial outcome. Trying to “get rid of a difficult employee” via occupational health rarely works in practice. Managers have the right to ask certain questions about their employees’ fitness to work, but not the right to enquire about all medical details. The report from OH services should allow the manager to at least move the situation forward, and, ideally, to resolve it entirely. Not all OH practitioners know everything about every disease, and at times it may be necessary to seek further reports or information. Be clear when questioning whether or not an employee is “suitable for this job” about distinguishing skills and abilities to do the job (which is for the manager to assess) from medical fitness to work (which is for OH to assess). OH provides advice, but the decisions are made by the line manager on the basis of advice from OH and HR. It is up to the manager to decide if any recommended adjustments or restrictions can be accommodated. They may choose to ignore or change the advice from OH, but if things then go wrong, the manager may have to defend and justify their decision to a higher authority or an employment tribunal. If in doubt, a phone call and discussion with the OH practitioner is the best way forward. Honesty is vital in such discussions. There is no point in pretending to support an employee if really you are trying to get rid of them. Complete clarity about your real aims and intentions will help the OH practitioner have a better all-round picture of the situation. A collaborative approach between the line manager, HR and OH is ultimately the most favourable way to bring about a resolution of the underlying situation in which an employee’s health might be of relevance to their ability to carry out their occupation, and to bring the best potential outcome for both employee and employer. Dr John Cooper MB BS FFOM is an experienced occupational health consultant who has worked internationally in both the private and the public sectors. He was educated at Oxford University and St Thomas’ Hospital London, and is a former medical director at Mobil Oil. He was also global chief medical officer at Unilever for 15 years. He has developed award-winning health and wellbeing programmes, lectured internationally and published studies on the business benefits of a healthy workforce. “Duty of care” is the legal requirement for an employer to act towards its staff and the public in a reasonable way, with watchfulness, attention, caution and prudence. The General Medical Council (GMC) website has a section for employers, including information on how to check a doctor’s status on the register, registration and licensing, and the obligations of employers. There is also a section on good medical practice, the standards doctors need to demonstrate in their work. Hi having read the article with interest I would like to ask the question if OH doctor states in his report that the employee who had a herniated disc is fit to carry out his designated work duties. The employer reinstates the employee to his work duties and the employee has a recurrence of his back injury who would be to blame the OH or the company. That very much depends on the circumstances of the injury. Was the employee following appropriate moving and handling procedures? Was a risk assessment carried out and followed? Your questions is too broad to be answered in this type of forum. Hi , just read your article, going through the same thing. Did you get a reply if you don’t mind me asking. Question for you – if a referral to occupational health is documented as action required by a line manager following the performance management or appraisal process, is there a duty on the employer to make this referral, and what what would be a reasonable timescale in which to initiate this. Question can an occupational health doctor re diagnosis a medical condition that was done by both Gp and specialist whom followed the set diagnostic rules and knows the patients history and condition. I’m a train conductor with a eyesight problem in one eye. My other eye is excellent and can read the bottom line of the eyesight chart. OH advice from companies own specialist eyesight doctor is I can return to duty. Rail company refuse to accept my fitness standards to work. Does Equality Act apply? I’m still authorised by DVLA to drive a bus it’s just UK rail eyesight standards are higher. The relationship between yourself and your employer is the one that is important here. The doctors, however self-important they may feel, are simply advising you and/or your employer. Nobody can “force” you to go to work and the decision to stay away is yours alone (unless your employer feels that there is a risk to your health, that of others or to their business related to you being at work). If you check the wording of the medical certificate from your GP, it says “I [your GP] advise you [the patient] to refrain from work…”. The medical certificate has very little influence other than as a piece of advice. Your employer may take advice from OH, which might suggest (for example) that you are otherwise well enough to work but are affected by issues at home and are unlikely to return until those issues are resolved. Should the employer feel that there is no reasonable expectation of those issues resolving and that they should therefore “dispense with your services”, any steps such as legal action(ET or whatever) are between the employee and the employer with GP and OH advice as “evidence”. In essence “signing off” and “signing back” have no legal status and are not a requirement, other than where an employer requires a medical certificate to justify medical absence. This is related to your contract of employment and not a medical requirement. I was referred to OH and still waiting to be called in. I hope it s how you say though I cannot know. It s first time I find myself in this situation. I really hope they will sign me back into work. But as I say my situation is a bit more complex. I have had two referrals for the same illness and on both occasions I was not shown the referral prior to it being sent. And only informed on the second referral after it had been sent. Reading the above am I right in saying this is bad practice? And if so where do I stand? Can a company make you have OH medical? Can you refuse to go to occupational health and if so what actions can your employee take ? Can anyone tell me if you can be referred to occupational health for two issues? I want the referral to address. this is a very useful article. I am in the process of being referred as a result of work based anxiety. After reading the questions asked by OH prior to referral around mental health I am cynical about the potential outcome being on the side of an employer and not employee which supports a negative view of MH in the workplace and may give weight to further exclude or dismiss. Is this your experience? Hi I’ve had a telephone assessment due to being off four times in three years with a bad back. It says I should continue with exercises for my back and go swimming, to yoga and a chiropractor. Plus should have less duties for 3 months. Can my employer terminate my contract due to this? I have had 3 OH referrals. My employer has implemented the physical reasonable adjustments however I have MH problems and need some more help ie work from home etc. I am not being allowed this due to poor performance which is due to disability no reasonable adjustment have been made for my actual job. I am currently waiting for another face to face OH and have been waiting 6weeks on top of the 3 months before I went off sick. I am continually getting ill. My question is could I have Disability leave until my OH appointment ? The occupational health nurse who assessed me refused to share her report with myself prior to sending it to my manager. She stated this was her company’s policy despite my objections. She stated I had to request a copy from my manager directly. Surely if this report is about myself I am entitled to see it first and secondly to have the right to request any factual inaccuracies are corrected prior to its release to my manager. While signed off work my manager sent me a consent form to be seen by OH, without her already having OH within the company. I agreed. This was 2 months ago, I haven’t received any referral form or know of any questions she wants to ask or even know who or where this OH is. Then I receive a phone call that said OH has sent a report and asked my doctor for a report and it is ready for me to view. When viewing it, this said OH had poorly written a report on my apparent grievances, which was all made up or fabricated, and basically continued to slander me before asking for proof of my illness because he and my manager do not believe me. One of my main illnesses is mental health problems, so i find it extremely worrying a medical professional would accuse me of faking this illness. Can OH do this? Can they give my doctor a fabricated report about myself without so much as talking to me on the phone or meeting me in person? Can they guess what is or isn’t wrong with me after only talking to my toxic manager?